Renoir early oil paintings were typically Impressionist snapshots of real life, full of sparkling colour and light. 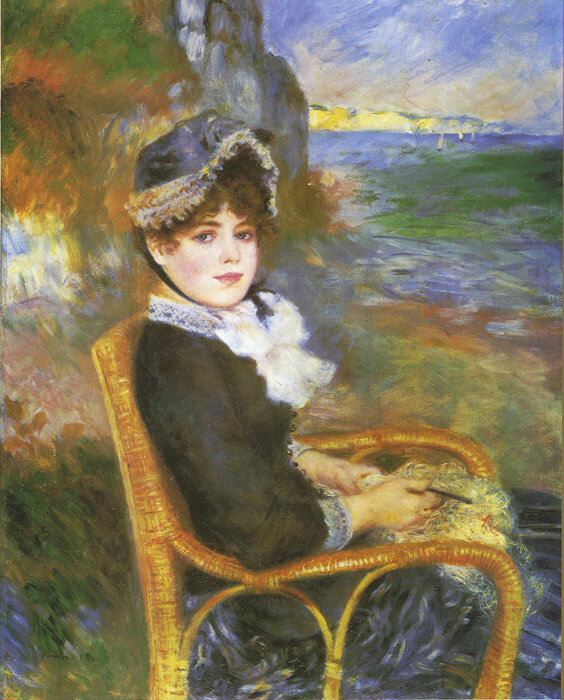 By the mid-1880s, however, Renoir had broken with the movement to apply a more disciplined, formal technique to portraits and figure paintings, particularly of women. SPECIAL NOTE : The painter will make the reproduction as close to the original oil painting as possible. If you want your painting to alter from this likeness, please email us and " By the Seashore, 1883 " will be reproduced according to your special requirements.